We are a charitable organization run solely by volunteers. Our 2018 operating expense exceeded $ 85,000 which includes rent, restocking food items as needed, along with bi-weekly purchases of milk and eggs.. A full order of milk and eggs costs $500.00 on average. The people of Ajax and Pickering donate all of our food and finances. In April 2018, we completed a major renovation of our space. 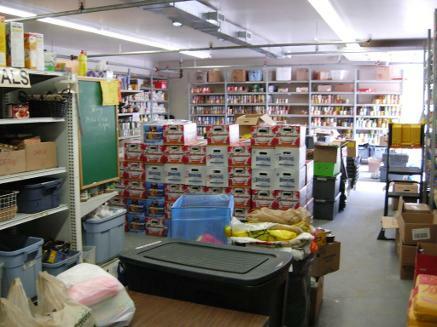 We enlarged the food bank by an additional 1,300 sq. feet to bring our total warehouse/distribution centre to approx. 3,100. sq. ft.
All of our clients live in the Ajax-Pickering area. Clients may visit the food bank up to 2 times in one month. Approximately 35% of our clients are children. We have 6 volunteer drivers who regularly pick up food from drop off bins located in grocery stores and other sites. 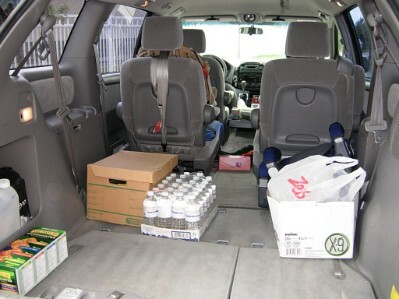 Drivers use their personal vehicles - the food bank does not own any vehicles. Most of our drivers work at regular jobs and fit their collection schedules into their daily routines. It takes the combined efforts of about 30 volunteers to operate the warehouse and client food distribution programs. Most of our volunteers are retired but we draw support from all segments of the community. When we need extra help for special projects, we can call on church or club partners to supply work teams as well as individual community members.